Trendsetter is full Peruvian with Accoyo bloodlines. 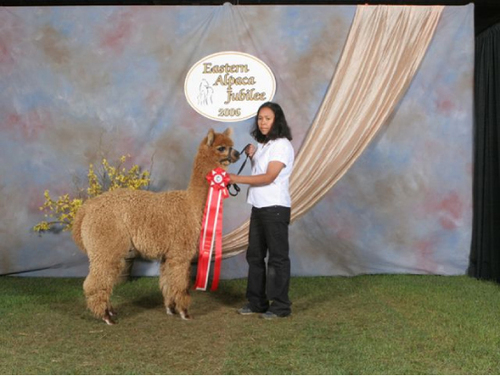 He won 2nd place full fleece dark fawn yearling male ‘06 MAPACA Jubilee & 1st place at the Carolina Show. His sire, Snowbelt’s Curly Clay is black blue ribbon winning herdsire. Trendsetter’s dam, Tanya, is 1/2 Accoyo, full Peruvian female with a micron of 21. Her 1999 cria, Tarzan, won Second Place (16 in class) at the 2001 Eastern Alpaca Jubilee. Tanya is sired by Accoyo Bravado, a super dense Accoyo & large-boned herdsire. Lilo is a beige Trendsetter daughter. 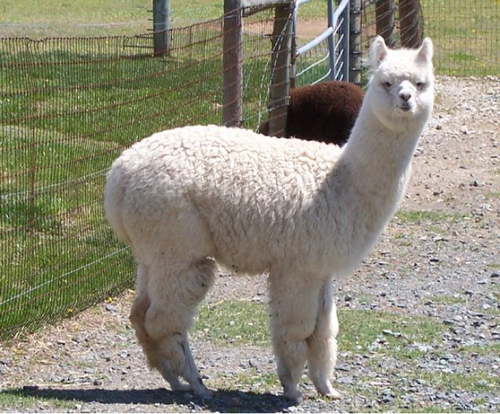 Trendsetter is full Peruvian with Accoyo bloodlines on both his sire and dam's pedigrees.He won 1st halter at 2007 Maryland Alpaca Show and Sale. 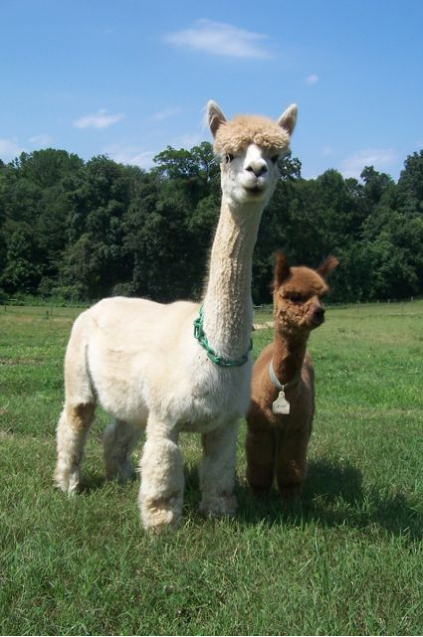 1st Halter at Carolina Alpaca Celebration, 2nd halter at 2006 MAPACA Jubilee, 2nd Halter at 2006 VAOBA Expo. 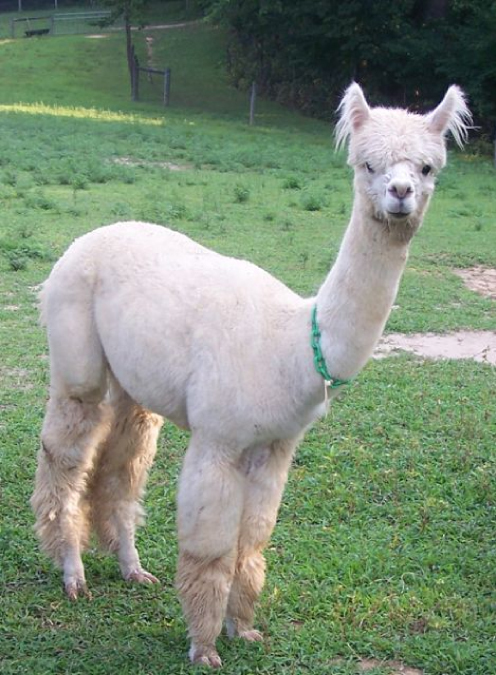 Lilo's grand sire, Expresso, won a blue ribbon at the AOBA National Conference and he also won an award for Best of Breed in the 1999 Eastern Exposition Fleece Show.